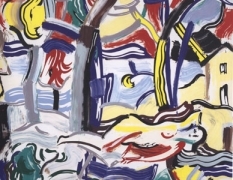 sheet: 16 1/2 by 38 7/8 in. 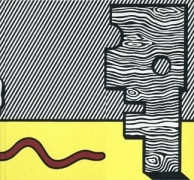 41.9 by 98.7 cm. 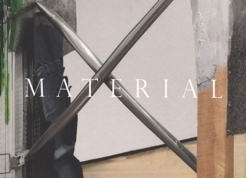 Mitchell-Innes & Nash invites you to visit our booth at Pavilion of Art and Design, London. 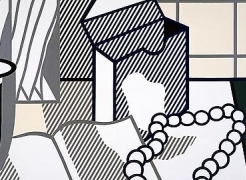 This fair focusing on the best of 20th-century art and design will take place in Berkeley Square, October 12-16. 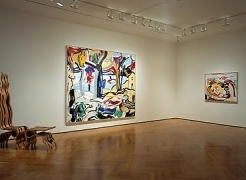 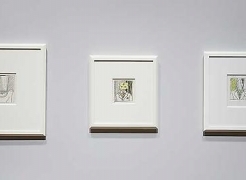 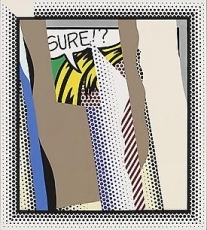 The gallery will present a selection of Roy Lichtenstein collages from the Interiors series. 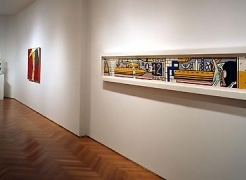 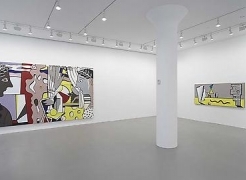 Following the Dots Around the City By ROBERTA SMITH Autumn in New York is the perfect time for an accidental festival of the work of the Pop artist Roy Lichtenstein. 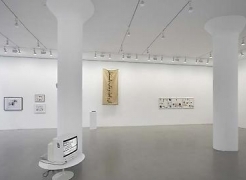 This one is made possible by three separate exhibitions spread around Manhattan, which seems only fitting. 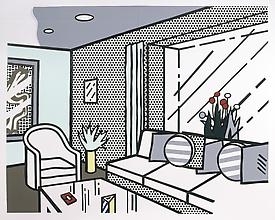 An extraordinary new exhibition organized by The Morgan Library & Museum, opening September 24, presents an important series of large-scale, black-and-white works as a group for the first time and examines Lichtenstein's less known exploration of the medium of drawing. 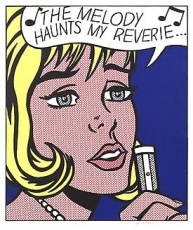 Created during the early and mid-1960s, the fifty-five drawings on view offer a revealing window into the development of Lichtenstein's art, as he began for the first time to appropriate commercial illustrations and comic strips as subject matter and experimented stylistically with simulating commercial techniques of reproduction—the famous Benday dots. 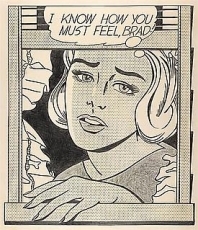 The work represents an essential and original contribution to Pop Art as well as to the history of drawing. 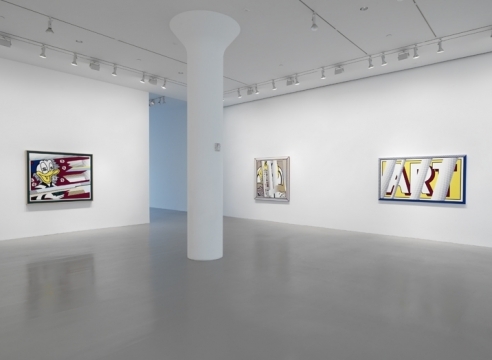 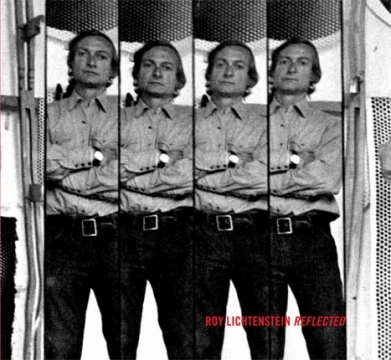 A CONVERSATION ON ROY LICHTENSTEIN MITCHELL-INNES & NASH CHELSEA SATURDAY OCTOBER 16, 4 PM Mitchell-Innes & Nash will hold a round-table discussion on the occasion of the exhibition Roy Lichtenstein Reflected at the Chelsea gallery on Saturday, October 16, at 4pm. 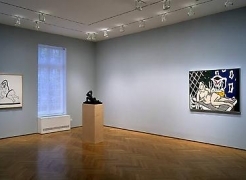 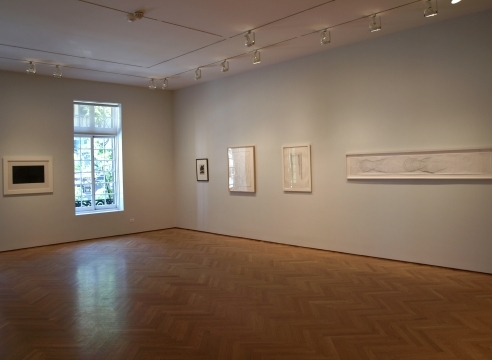 Participants will include Dorothy Lichtenstein, David Salle, and Graham Bader.